New to our website, we now have this beautiful, 2-floor home for rent. 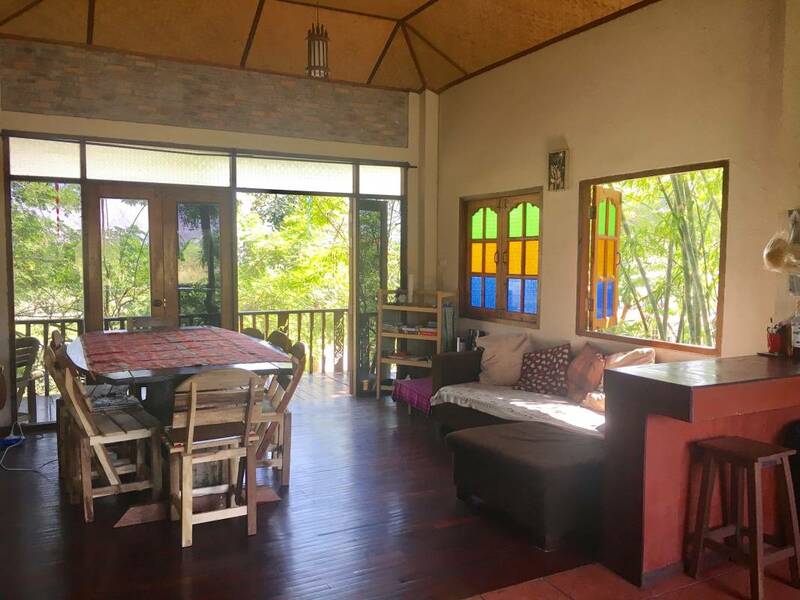 The property is well maintained, situated next to a small pond and surrounded by lush vegetation. 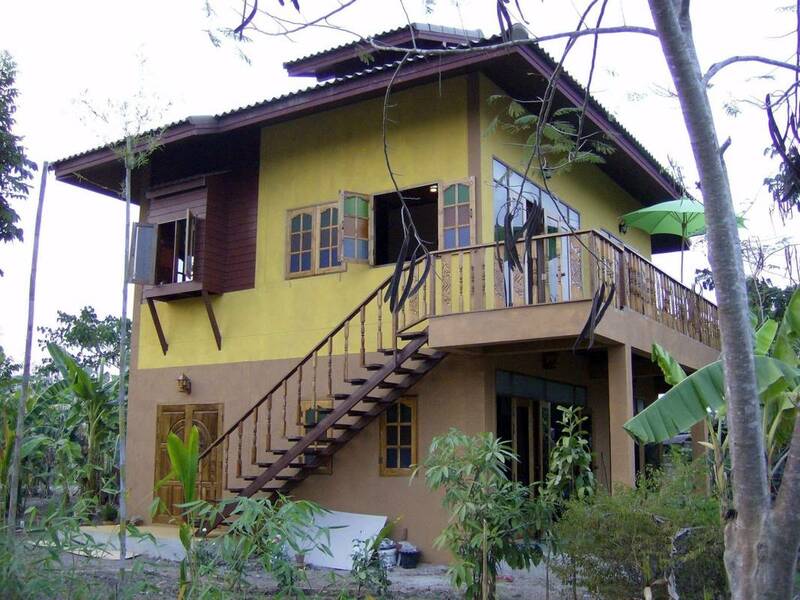 It includes just over half a Rai of private land and is less than 2kms from Pai town center. 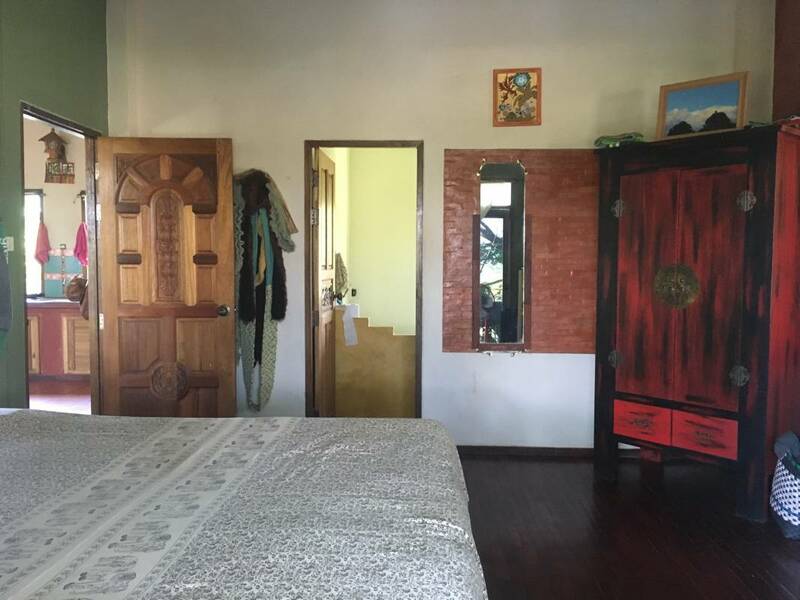 It is a one-bedroom home, fully furnished with a well equipped kitchen, bathroom and utility room. 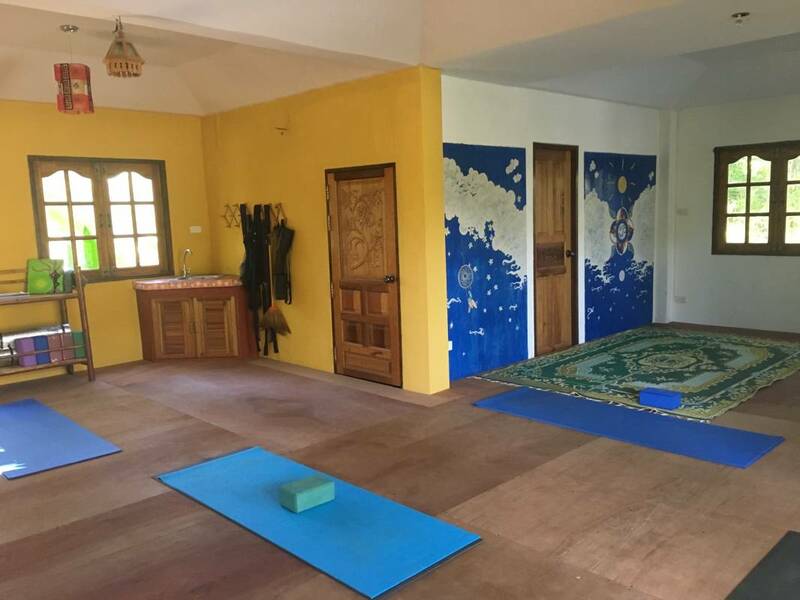 There is also an open space on the ground floor, which can be used as a yoga studio, a workshop, or whatever you desire. 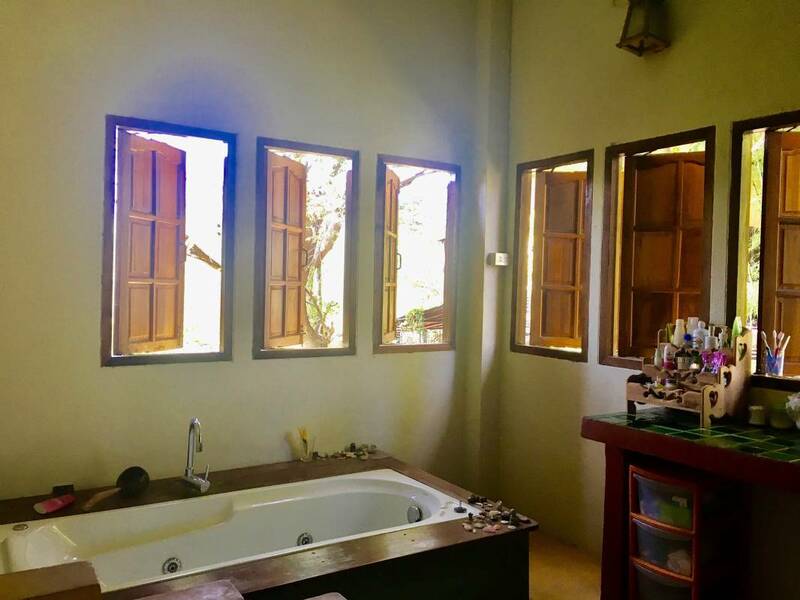 The bathroom is your own personal spa, with a jet tub for deep relaxation! 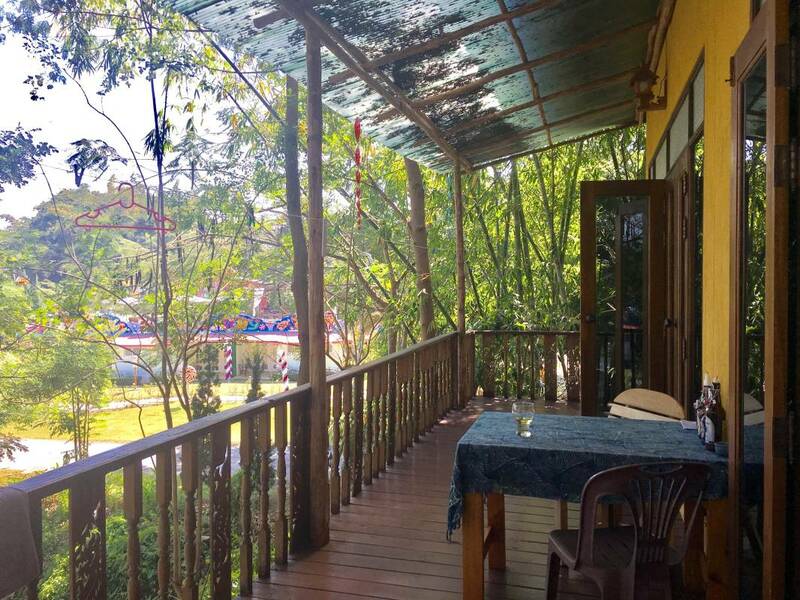 From the top floor living space, there are french doors that extend out to a balcony with a great view of the Pai hills. 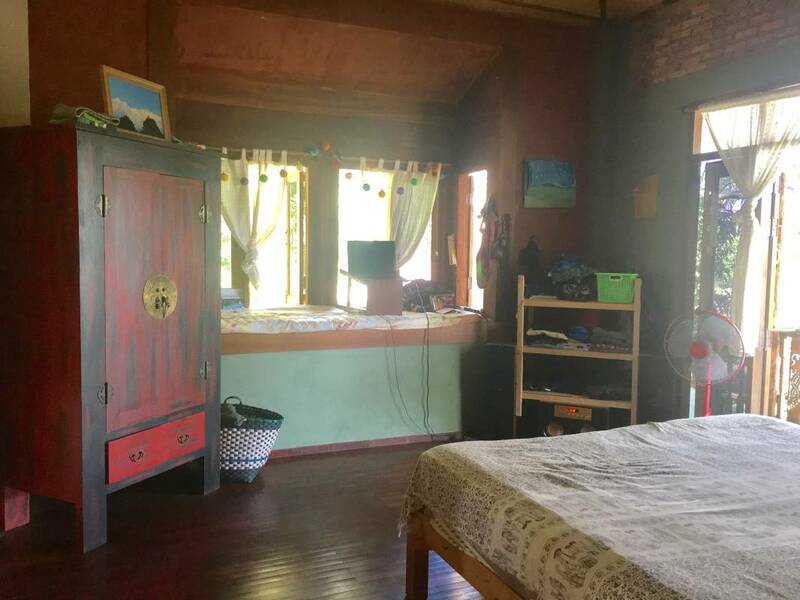 This property is ready to move in, with high speed WiFi already set up and even comes with a reliable Honda Dream scooter to get around! There is a 3 month minimum lease contract. 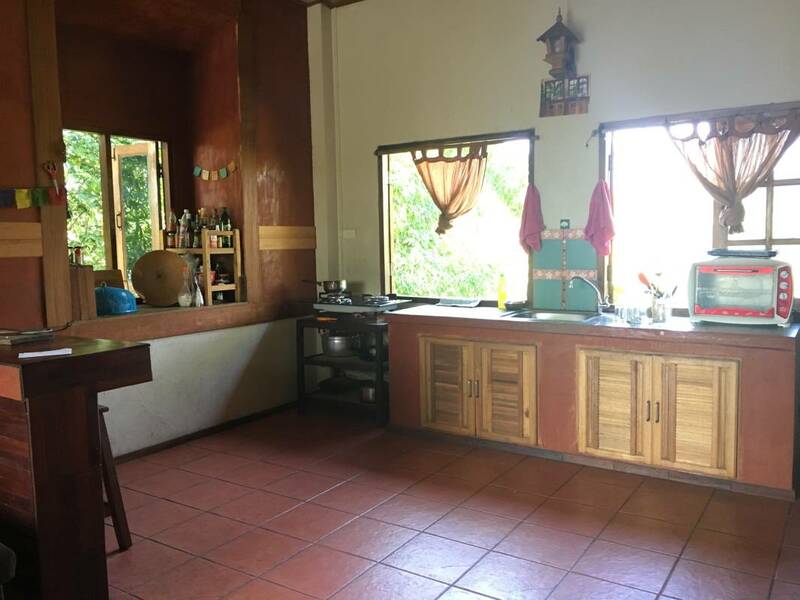 This entry was posted in Currently Available, Currently Rented Out and tagged Accommodation, Bungalows, Contained, Estate, family, Fully, Furnished, Hong, Houses, Lease, Long, Mae, modern, Monthly, Pai, Properties, Property, Rent, Rentals, retreat, Son, Thailand, Villas. Bookmark the permalink. All the Properties that I manage will be listed on this website and categorized as either: Currently Available or Currently Rented Out. If you are interested in viewing all available Properties then Click on the "Currently Available" Link below.